A safety flag out line for the Ozone C4 bar from 2014 with push away chicken loop. The safety flag out line is the one you clip your safety leash too. It goes through the chicken loop body, through the bar and attaches to one front line through the stainless trimmer bracket. 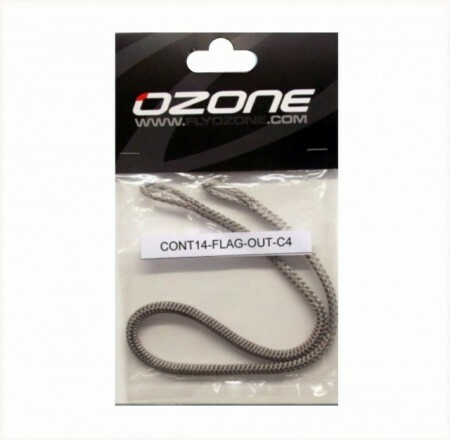 The safety flag out line is a total of 55cm un stretched to 75cm at full stretch as has a large bungee section within it. 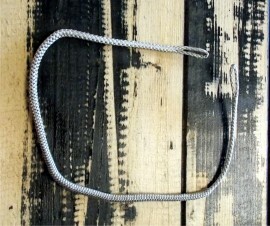 It has a formed loop both ends and simply re use the existing safety ring with swivel. Easy to change. 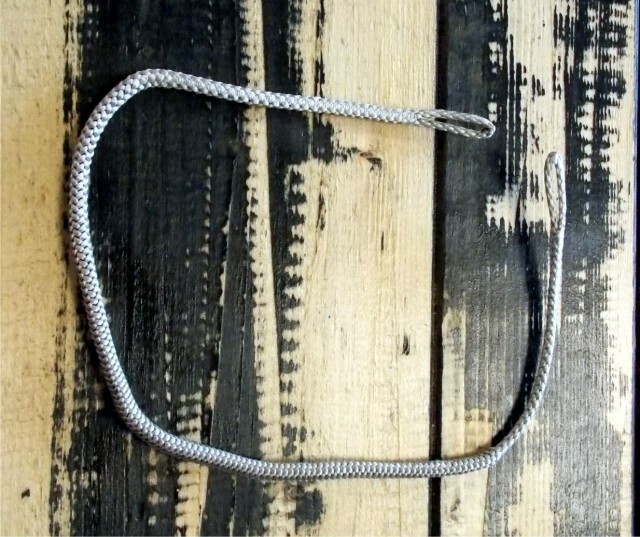 Note:- change your safety line as soon as you see any wear to it and not let it fail when you really need it!